“The Knight With His Hand On His Chest”~by Carmen, Friend of Daniela. Carmen is my Spanish friend who teaches Art History. She loves IL VOLO and loves to make comparisons between IL VOLO and artwork. Her teaching method is to create this parallel so that the lessons result less heavy for the students. It is very interesting and I thought to ask Valeria to translate it for you. This is what she thinks of Piero. written by Carmen Garcia Rodriguez. When I first watched the trio Il Volo for the first time, two of its members immediately reminded me of the characters I had seen in various artworks. Gianluca has a classic beauty that reminded me of Hermes of Prassitele and Ignazio, for his deportment and for his face, he seemed to me a Knight of the seventeenth century, coming out of a picture of Caravaggio or Dumas’s novel “The Three Musketeers”. And many people have asked me: “And Piero, do not you remember any character?” The fact is that he reminded me, yes, some, but I did not understand who. His glasses, which give him so many personalities, I think, prevented me from accurately identifying what character of the past he was like, until I saw his picture without glasses and black dress. Then I understood: Piero was “The Knight with his hand on his chest”. His austere air, his serious face, and the penetrating look were those of the famous Toledo horseman depicted by El Greco. Afterwards I realized that, very often, singing or greetings, Piero carried his hand to the chest in a gesture very similar to that of the man of the painting, and I thought: finally I found Piero’s character. El Greco was a famous painter of the sixteenth century, born in Crete and artistically formed in Italy, although today he is considered a Spanish painter since he settled in Toledo and in Spain reached the fame he still maintains. “The Knight with his hand on his chest” (Museo del Prado) is surely his most famous portrait. Unfortunately, we do not know for sure who the Knight is, but El Greco, as a portraitist, has been able to grasp the character of the character. . It is a simple portrait in which black and gray predominate, which gives arousing air to the character, but there are three elements that characterize the portrait: the penetrating gaze, the grip of the sword pointing to his character noble origin and, above all, the hand on the chest that represents it as a man of honor. Of course Piero is more attractive than El Greco’s Knight and also wears glasses that I hope will never be removed because they characterize his image. I do not know Piero personally, so I do not know if his personality resembles the one that comes from this horseman, but for some reason Piero is for me “the Knight with his hand on his chest”, one of my favorite portraits. Previous PostNotte Magica – Adios South America! Santiago, Chile – September 30, 2017Next PostGrande Amore – 100 Million Views! Hello Carmen, I found the article very interesting. I think Il Volo are our modern day “ Musketeers” they certainly are all men of honor. I can see Ignazio in a suit of armor riding Walter into a jousting match, and Piero with his hand on his heart when he receives the accolades of the people. And Gianluca coming to the rescue of a damson in distress. I wish you had been my Art History teacher, you make it a fun class. This is very interesting, especially since my husband and I just returned from a bus tour in Spain and Portugal. El Greco is one of my favorite artists and we did see this wonderful painting as well as many others of El Greco at the Prado in Madrid. We also visited Toledo where El Greco lived and saw one of his most famous paintings “The Burial of the Count of Orgaz”. I have always found it very touching and a lovely gesture to see Piero, Ignazio and Gianluca placing their hands on their hearts. All three could definitely be seen as wonderful and honorable figures from the past. Daniela thanks again for finding interesting articles about our boys.Thanks to Carmen too. Piero lately has been coming out of his serious mode and is taking over some of the ‘moves’ Ignazio used to have. For some reason Ignazio seems to have become more quiet. Gianluca stays his classy self. Thank you Gina, you know, when I see something interesting, I think I’ll pass it on to you. 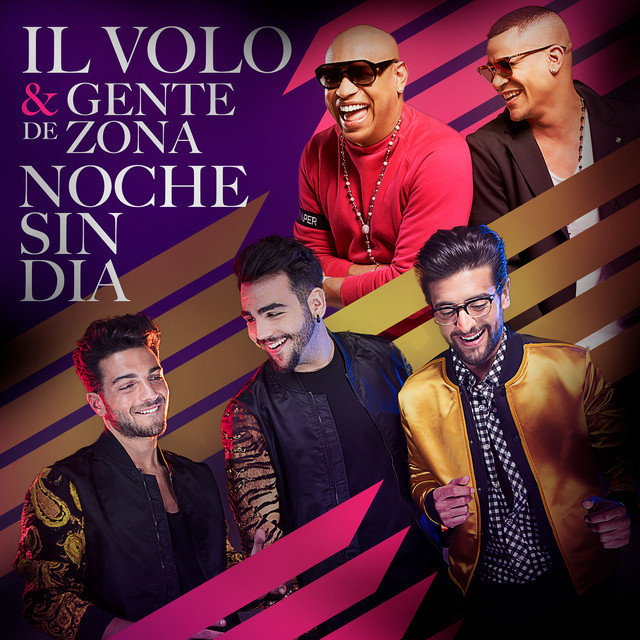 Laura, I must say that I have read several articles by Carmen and she really knows how to awaken the interest of Art History with parallelisms with IL VOLO. As for Ignatius, it’s all true what you wrote Laura, last year Ignatius was very angry about these facts. So many bad comments had been written on Alessandra and he was furious. Unfortunately there are very bad and very stupid people. This year the situation seems to me to be much improved and Ignazio, slowly, has resumed posting his photos and also with Alessandra. Daniela, As a person with a degree in Fine Art and a lasting enjoyment of IL VOLO and their superior ‘sound’ ( singing and music) I really appreciate how Carmen combines the two subjects, simultaneously helping to promote an awareness of and interest in Fine Art and IL VOLO. Unique. Laura, then you who know History of Art, have you taken a look at Carmen’s blog? 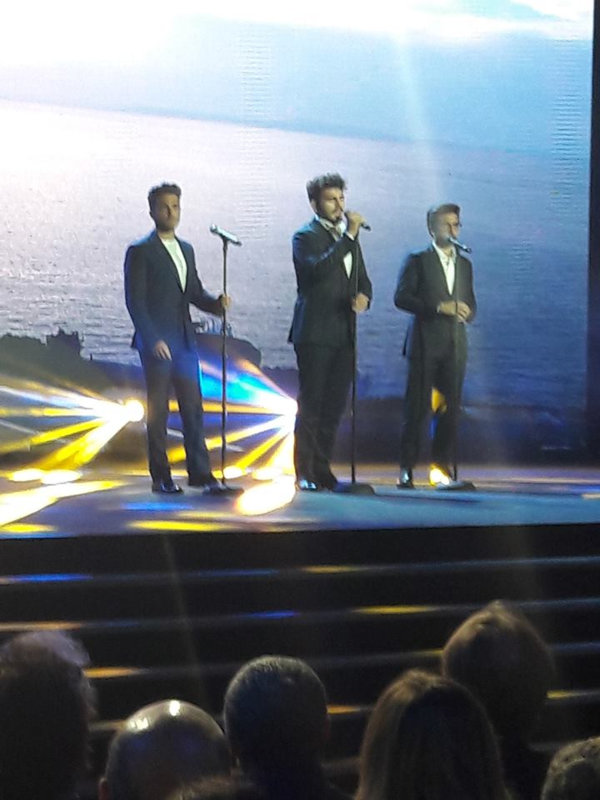 And everything set up on art and IL VOLO, really a good idea. Daniela, I used the link you provided for Carmen’s blogs. They’re beautifully done. I so agree, Daniela; it’s great. Laura, I’m very glad that Carmen’s blog liked you, I think she really had a great idea. Thanks Carmen , Daniela & Jane. Amazing history I have been trying to read everything I can & not miss anything. I am also so sad that Ignazio is having so much trouble with the stupid fans who spoil contact & caring for others especially us on this site. I don’t want to see Ignazio close all contact with fans especially us who truly love & support him. Something should be put in place that our guys are protected & fans who wont adhere to their privacy can be sued. Our guys need privacy especially when they desperately need their sleep. I would hate to see meet & greets shut down . Girls & anyone else who has some experience & ideas in how to protect our precious young men please help them. Loretta, I don’t think they’ve had any bad situations at their meet & greets, at least not that i know of, anyway. Hope not. I’m guessing that any seriously problematic fans are probably a rarity for them, or just a small minority in number, but a serious, personal impact could definitely feel uncomfortable and upsetting. The nearest thing I’ve experienced to what it might be like at times for the guys, was a non-serious, mistaken-identity incident when I was being followed on a couple of streets and avenues in Manhattan by two other girls who eventually caught up with me after I’d ducked into a large dept. store. They still followed me, but got their nerve up and, hanging on to each other, I noticed them finally approaching me. They were both trembling, crying and clinging to each other. I then learned the reason they were always not very far behind me, walking fast to keep up with me, huddling together whenever I glanced back: They managed to blurt out, in unison, a request for my autograph. They had, it turned out, mistaken me for the steady girlfriend at that time of a very famous, British singer/musician whom they had seen in mostly B&W (and rare) pictures of her in the fan magazines at the time. Because of how emotional the girls were and because of being followed around like that, it’s something you don’t really forget, so I can only imagine what it must be like for actual celebrities, especially attractive, young male ones. I don’t envy media fame one bit; that’s for sure! Piero is a sweetheart! Not for nothing has Ignazio called him the nicest person he ever met. At both M & Gs I was lucky enough to attend, Piero immediately sensed my nervousness and started talking to me and put me at my ease. He is a thorough gentleman and I think you have chosen the perfect portrait for him! It did indeed! On one of those occasions it was Piero’s birthday, and I was bringing him a cake–I have often wondered if they ate that cake! (A picture of it is somewhere on the blog). I handed it to Piero, I said happy birthday, and he asked me to put it on a nearby table where they were putting other things people had brought. They were traveling with their bus–you could see it outside the window of the room we were in. There were a couple of other cakes on the table others had brought–but none of them were as special looking as the one I brought–which I had written on it that it was from the Flight Crew. I have often wondered what happened to it–lots of people traveled on that bus–it could have been gone in a flash! Penina, I also believe that our boys, besides singing, have rare virtues for modern boys, Piero is a person who puts you at ease, Gianluca is always a true gentleman and Ignazio ….. Ignazio is Ignazio, nothing to say, are all three unique and are our treasures. Carmen, I thoroughly enjoy reading your art history notes! Thank you. Relating the guys of Il Volo to historical paintings gives the old paintings a life they never before had for me. I hope you will be able to do more of this. I am so sorry to read of people who feel they have the right to invade Ignazio’s private life in such an intrusive manner. This is very odd. Todays date is MARCH 11, 2018 and yet this is the first time I even saw this post which is dated back in October 8, 2017. Why am I just now seeing it….and on facebook no less. It was never in my email??? Now I wonder how many other posts I may have missed.